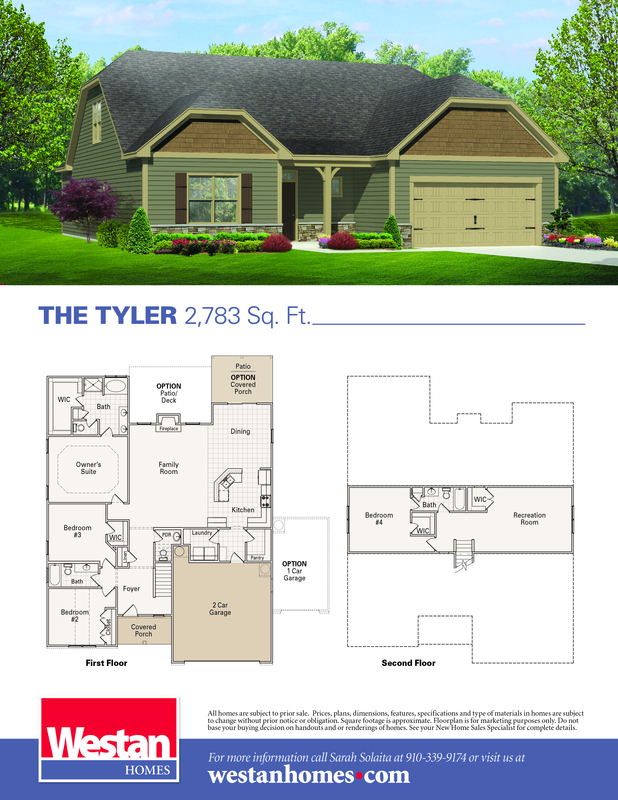 At Westan Homes the Tyler offers 2,783 Sq. Ft. of open living space! Enter into a large inviting foyer. The Tyler boasts a large kitchen that includes tons of countertop space with a bartop overlooking dining and large family room with fireplace. Just off the kitchen you will find a drop zone perfect for backpacks and coats! Adjacent to your drop zone is the spacious laundry room and walk in pantry! The 1st Floor Owners Suite features a double vanity, separate tub and shower with huge walk in closet. Rounding out the first floor are 2 bedrooms, 1 full bath and an additional half bath. Upstairs will not disappoint, it includes the fourth bedroom, a full bathroom and a huge recreational room! Like all Westan Homes, The Tyler features all of our Bright Ideas to include hands free pantry lighting and USB Charging Station!